Lotus field in August. Not visible by December. 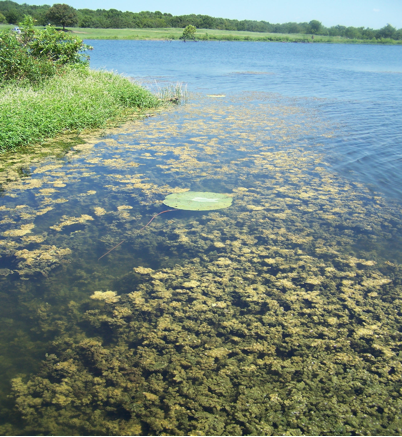 Ever wonder why annoying plants that disrupt ponds all summer disappear from sight by late December? It’s certainly not from lack of water. 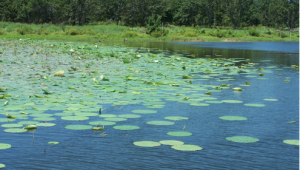 Aquatic vegetation, even though submerged in water, responds to climate change just like tree leaves or grass on your lawn. As water temperatures chill and hours of daylight decrease, plant instincts trigger dormancy that enables survival during seasons unsuitable for growth. No surface sign of coontail when water temp reaches 60-degrees. Biologists associate this period with a biological clock when outer growth dies-back to protect soft tissues in roots and core of the perennial plant. Growth stops to conserve energy until better conditions return. Just like we struggle with cold weather, plants do too. If plants grew during winter, water in the trunk, stems, and leaves would freeze and cause significant damage. We see such effects on trees when early freeze damages new sprouts before the tree is fully prepared for cold temperatures. Winter also has less sunlight to stimulate photosynthesis. Dormancy is a mechanism vital to plant survival. In conditions of severe vegetation, lake managers may drawdown water levels during winter so plants are exposed to freezing temperatures and eliminated. Although an effective practice, there are risks if you’re experiencing a drought and have no resources to refill the pond. Explore chemical and biological treatment options before implementing drawdown. 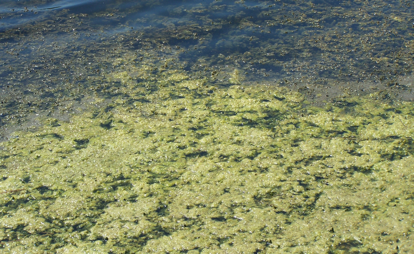 Algae first to go in cool weather. Take advantage of dormant months to develop a treatment plan. 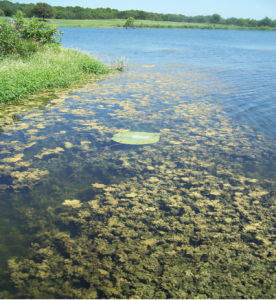 Is early, regular spraying sufficient to sustain a balanced amount for fish habitat? 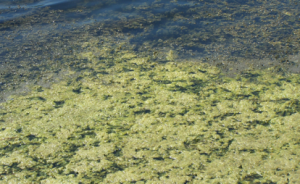 Should you fertilize to grow plankton near the surface so it shades plants and inhibits growth? If grass carp is the best choice, apply for a permit through the Texas Parks and Wildlife Department now. Whatever, the plan, be ready to implement in March as new growth sprouts. Nipping it in the bud will reduce frustration and maintenance costs. This entry was posted on Sunday, December 17th, 2017 at 11:09 pm	and is filed under Articles, News & Updates. You can follow any responses to this entry through the RSS 2.0 feed. Responses are currently closed, but you can trackback from your own site.